The film, Ek Ladki Ko Dekha Toh Aisa Laga, breaks all the stereotypes with the mainstream story and a pinch of a twist by showing dyke characters onscreen. Ek Ladki Ko Dekha Toh Aisa Laga, a much-anticipated film of 2019, has intrigued the audience with its trailer and songs. The film brings the father-daughter duo Anil Kapoor-Sonam Kapoor together on screen for the first time. It is believed that the unique and unusual script of the film will be instrumental in pushing the queer conversation forward in India. 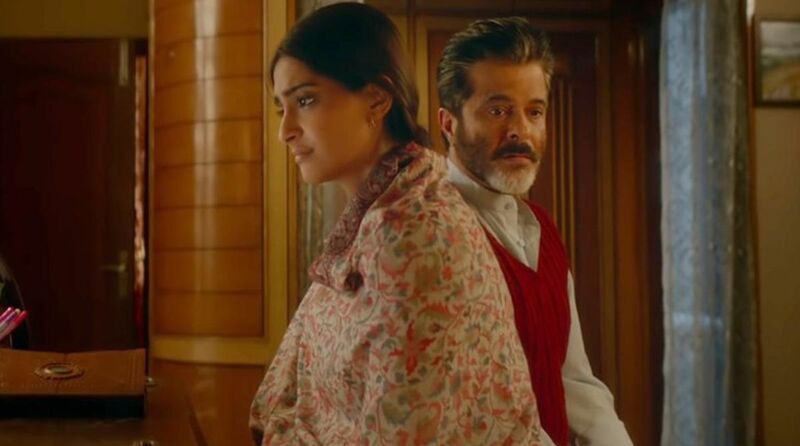 The fact that the film touches upon a rather sacrosanct issue of the society which needs to be told, and has an intense bonding between the father and the daughter was the biggest reason that drew Anil Kapoor and Sonam Kapoor to do the film Ek Ladki Ko Dekha Toh Aisa Laga. ELKDTAL tries to represent the point of view of the LGBTQ community on celluloid and it has been a tedious task for the makers and cast. With Ek Ladki Ko Dekha Toh Aisa Laga, it will be a great concept and lesson to be shared with all the parents out there. The film, Ek Ladki Ko Dekha Toh Aisa Laga, breaks all the stereotypes with the mainstream story and a pinch of a twist by showing homosexual characters onscreen. A few days earlier, the makers of the film released the title track and a Punjabi wedding song ‘Ishq Mitha’ which has garnered an immense following. Fox Star Studio presents Ek Ladki Ko Dekha Toh Aisa Laga produced by Vidhu Vinod Chopra and is directed by Shelly Chopra Dhar. The film also stars Rajkummar Rao and Juhi Chawla and is slated to release on February 1, 2019.